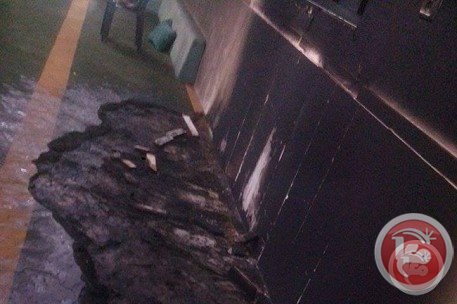 BETHLEHEM (Ma’an) — Extremist Jewish settlers set fire overnight Tuesday to a mosque in the southern West Bank town of al-Jaba west of Bethlehem, locals told Ma’an. The Palestinian foreign ministry said the attack was tantamount to “an official declaration of religious war,” the official WAFA news agency reported. “This new attack is a sign of the mounting violent extremism within Israeli society,” it said.